Welcome to GTF Taekwon-Do Liverpool. 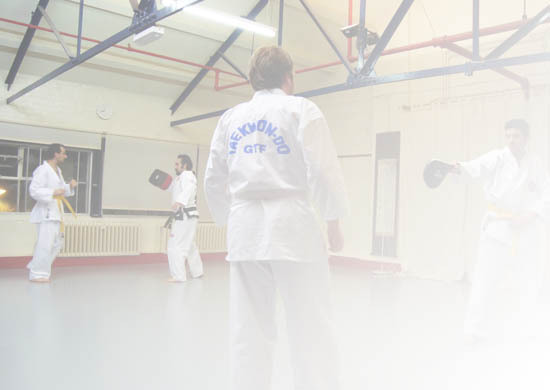 We are part of the Global Taekwon-Do Fedaration (GTF), the largest non-political Taekwon-Do organisation in the world, with members in 30 countries. Taekwon-Do originated in Korea, and is now one of the worlds most popular martial arts with over 60 million practitioners globally. In Korean, Tae means "to strike or break with foot"; Kwon means "to strike or break with fist"; and Do means "way" or "method". So "Taekwon-Do" is loosely translated as "the way of the foot and fist", and is characterised by its fast and high spinning kicks. GTF was organised and developed under the leadership of the famous Taekwon-Do Grand Master Park Jung Tae, 9th Degree Black Belt. Our club follows the traditional values taught by the GTF founder and teacher. 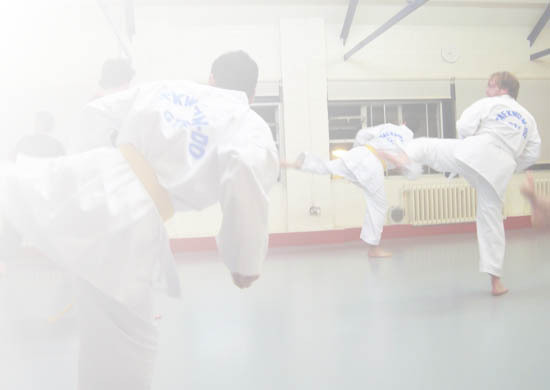 We train every Tuesday evening at the StoneWater Zen Centre (formerly known as the Dojo) in a friendly atmosphere, and beginners are always welcome.